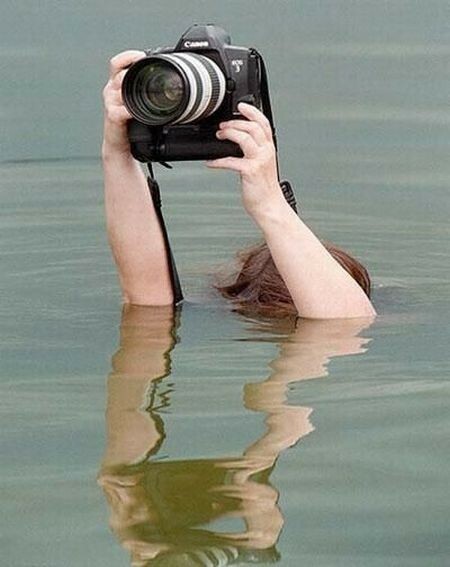 « HOW TO BECOME A PHOTO REPORTER? Truly wonderful pictures of drops Vladimir Nefedov. Infinitely different forms and images in cosmic natural etudes. Plunging into the “Universe of a drop” of the author, for a moment you do not even believe that such a thing can be captured with the camera. How does a photographer manage this? The photographer told the readers of the “Become a Photographer!” Project as part of an interview about shooting technologies and the nature of fabulous drops. First, a little about the history of the series “The Universe of Drops” and the author himself. Vladimir Nefedov is a professional photographer with many years of experience. His portfolio includes hundreds of high-quality and photographically perfect advertising works of various subjects, from photography of shoes and interiors to photos of jewelry, from wonderful creative compositional sketches from plain paper to photo-studies from reality surrounding us. 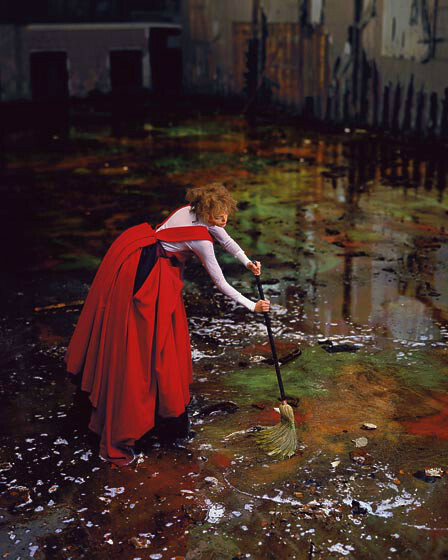 In these works, both creative and photographed to order, the author’s true love for his work is felt. 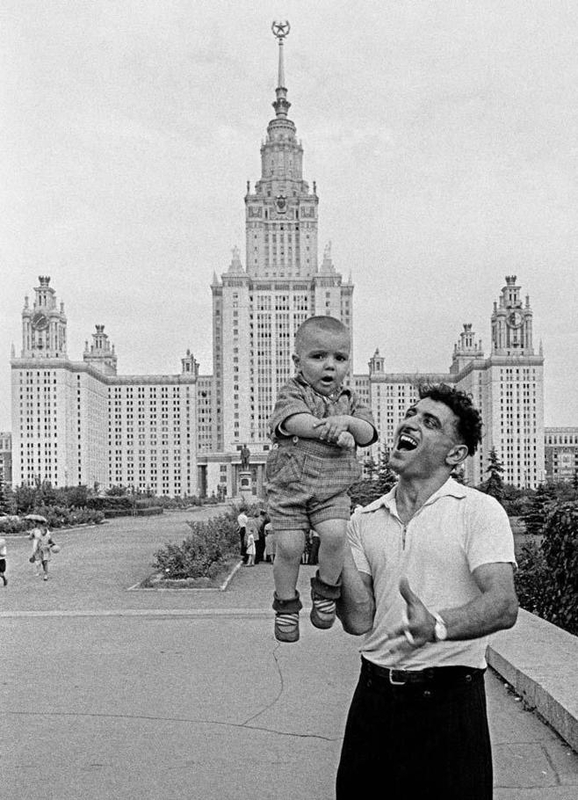 In Moscow, I had two solo exhibitions, The Universe of the Drop, where I received high marks even from professional reputable reporters who were completely distant from such a photo. In 2008, I became the winner of the “Sony World Photography Awards” in the category “Art Science”, which takes place annually in Cannes, and took second place there. In your portfolio there are wonderful composition etudes. Tell me, please, does the sense of composition help you when photographing drops, or is it something else – maybe a sense of the moment, an aesthetic taste? To begin with, I have been a professional photographer for almost 20 years, that is, photography brought me a certain income. The main focus at the time was advertising. And everything that we learned in the studio of A. I. Lapin, of course, was useful, although it was subjected to advertising interpretation, because the customer is always right. But the sense of form, composition, aesthetics in photography, acquired during the years of study in the studio, of course, remains, therefore, as far as light, background and partly color is concerned, already used schemes were used, of which there are dozens of options in the archive professional. The decisive moment in reportage photography lasts a very short time, and in a photo a drop is a momentary moment at all. What tactic works better here – to guess the moment or make a series of frames? How likely is the moment to be guessed, or is success only determined by continuous shooting? 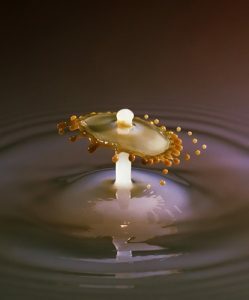 The time of the whole process, when a drop touches a solid surface, forms a figure, for example a crown, and then turns into a puddle, very little, for example, 5 milliseconds, i.e. 1/200 sec But in order to “freeze” the figure, time is needed for a lot less, about 50 microseconds, i.e. 1/20000 sec Therefore, in my case with a camera we can talk only about frame-by-frame shooting. How do you “dose” water? Pipette or some special device? How do you manage to get such an expressive drop shape (flower, mushroom, etc)? In the comments to your works suggest that for this purpose use different liquids (kerosene, milk). What does the shape really depend on? Of course, both light sources and a device for dispensing drops and a bath for liquids, all these are my design developments. But the most important thing in this process, as it turned out, is the knowledge of the fundamentals of hydrodynamics, i.e. what liquids repel or attract each other, knowledge of their characteristics (a drop of pure alcohol, falling into the water, immediately dissolves without leaving a trace). Here I consulted with people who knew this science, and they advised me to use not only ink and ink as dyes, but also phosphorescent liquids.